Pernod Ricard USA(R), the premium spirits and wine company in the U.S., is proud to announce it has been named “Importer of the Year” for the second straight year by the San Francisco World Spirits Competition (SFWSC), which also named Pernod Ricard’s Ireland-based Midleton Distillery as the 2014 “Distiller of the Year.” In addition to these distinguished awards, ABSOLUT Vodka, Ballantine’s 17 Year Old and Redbreast 21 Year Old took home top “Chairman’s Trophy” awards in their respective categories from the Ultimate Spirits Challenge (USC), while Redbreast 21 Year Old received a perfect score of 100 – an impressive feat accomplished by only one other brand in the competition’s five-year history. Also, Redbreast 15 Year Old was awarded “Best Irish Whiskey” by the SFWSC. In total, Pernod Ricard USA brands scored 16 Double Gold and 15 Gold medals at SFWSC and 33 “Finalist” designations from USC. “In particular, ABSOLUT’s award in the ultracompetitive vodka category is a strong validation of the consistent devotion to quality that has made this brand the #1 imported vodka in the U.S.,” Berard said. 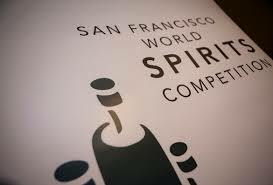 The San Francisco competition is the oldest, largest, and most recognized spirits competition in the United States. This year, thirty-three prominent spirits experts convened to judge more than 1,400 spirit products from around the world, the largest field in the competition’s history. The Ultimate Beverage Challenge, founded in 2009 by F. Paul Pacult, David Talbot and Sue Woodley, is dedicated to establishing a new platinum standard of integrity and reliability in the industry while bringing meaningful and relevant results in order to recognize the highest degree of product quality.